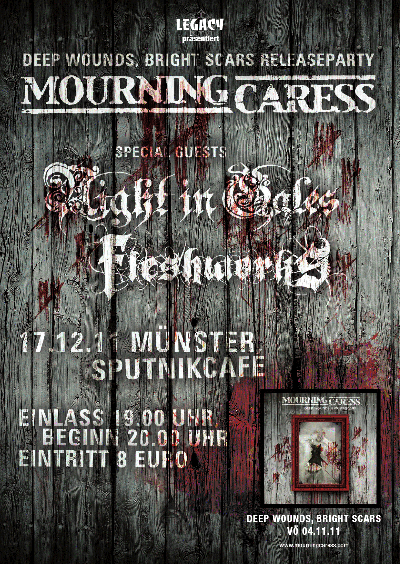 Thanks to dwindling band members and lack of motivation, we have finally decided on end Mourning Caress. We thank our fans for their years of loyal support. Münster, Germany based Melodic Death/Thrash outfit is currently looking for a new singer. Founding member Gerrit Mohr decided to quit due to private reasons. Gerrit states: "This is it. I am out. It´s such a strange feeling, but it´s a well considered decision. I still love the band, the music and the insane boys - that´s for sure, but sometimes it´s necessary to draw the line. 15 years of friendship, joy, M.E.T.A.L., tragedy, madness, sadness and really bad jokes will forever be carved in my mind. Thank you for this. 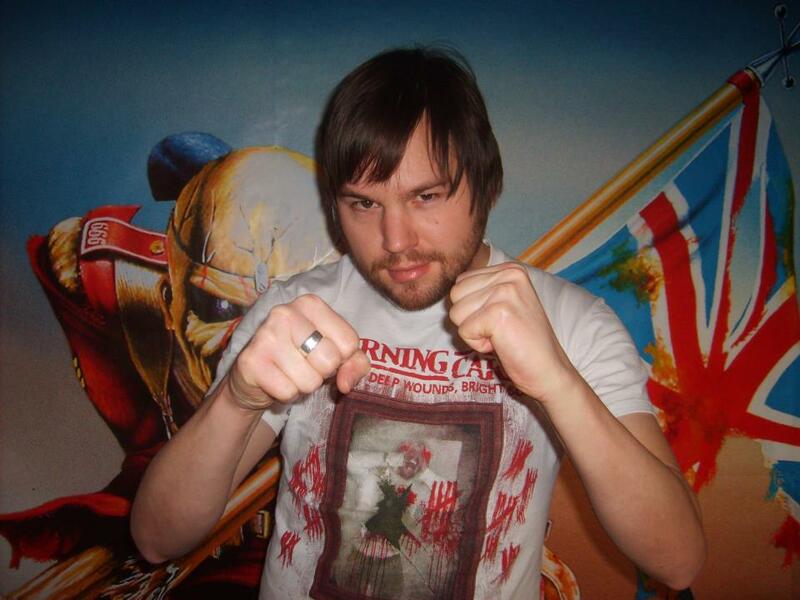 One last time, from the bottom of my heart I scream: Up The Caress!!! We thought it´s the right time of the year to celebrate the lovely sunshine, neverending beach parties and the beautiful flavour of appletrees and roses. With our tiny little summer anthem 'Hate And Denial' we just want to contribute some music to this special season. 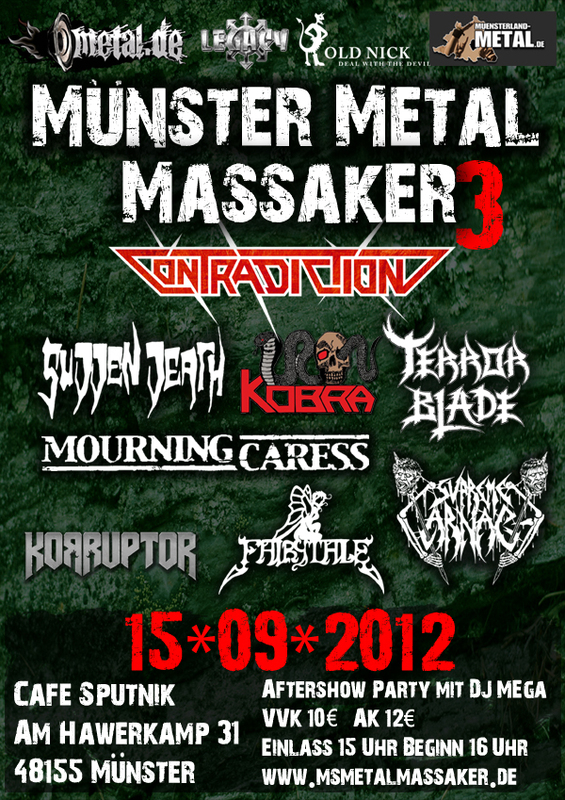 In further news we are confirmed for the infamous 'Münster Metal Massaker Part 3' (Contradiction, Terror Blade, Sudden Death and many many more) taking place September 15th 2012 in Münster, Germany. See you there. Please head over to the official MC online shop to order your brand-new 'Deep Wounds, Bright Scars' shirt in black or white. They turned out bruuuuuutal and eeeeeeevil. A couple of days ago we met Mikael Stanne from Dark Tranquillity to personally say 'thank you' for his great guest appearance on our new album. Cheers Mikael! 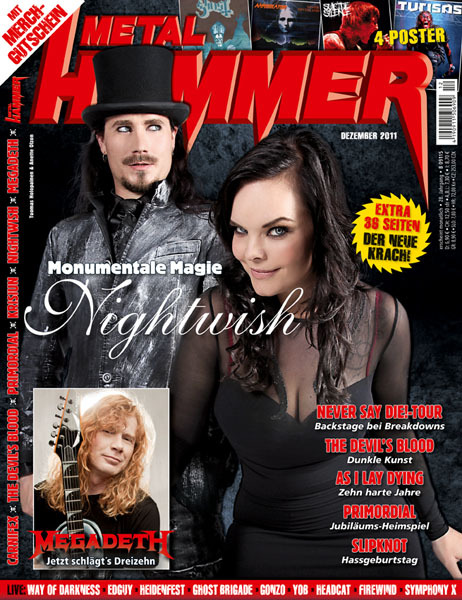 Die ursprünglich aus Münster stammende Band zählt zu den langlebigsten im westdeutschen Death Metal-Sektor. Während Resurrected amerikanisch-brutal klingen und Night In Gales melodisch-wild, ist das Besondere an Mourning Caress wohl die melancholische Schlagseite. Ein gutes Dutzend Jahre Bandgeschichte auf dem Buckel, kommt das neue Album mit ordentlich auf den Punkt komponierten und produzierten Melodic Death-Pfeilspitzen, die durch sattes, klar von Heavy- und Thrash Metal beeinflusstes Riffing punkten. Den melancholischen Teil kann man durchaus Sänger Gerrit Mohr zuschreiben, der nicht nur aggressiv shoutet, sondern mitunter regelrecht verzweifelt klingt, auch wenn man nicht gleich an Sentenced-Schlitzerromantik denken muss. Klarer wird die Marschrichtung, beachtet man die Gastvocals von Dark Tranquillitys Mikael Stanne, sehr passend. Kein Album für eine lustige Grillparty, aber da gerade der Herbst mit acht Grad Celsius eingefallen ist: Willkommen zurück, Mourning Caress! Die Stärken dieser Münsteraner Band liegen im Subtilen: Grob als eine Mischung aus melodischem Death Metal, Thrash und einer großen Portion hart rockender Coolness zu beschreiben, ist es vor allem die Finesse in der Ausführung erprobter Stilmittel, die MOURNING CARESS auszeichnet. 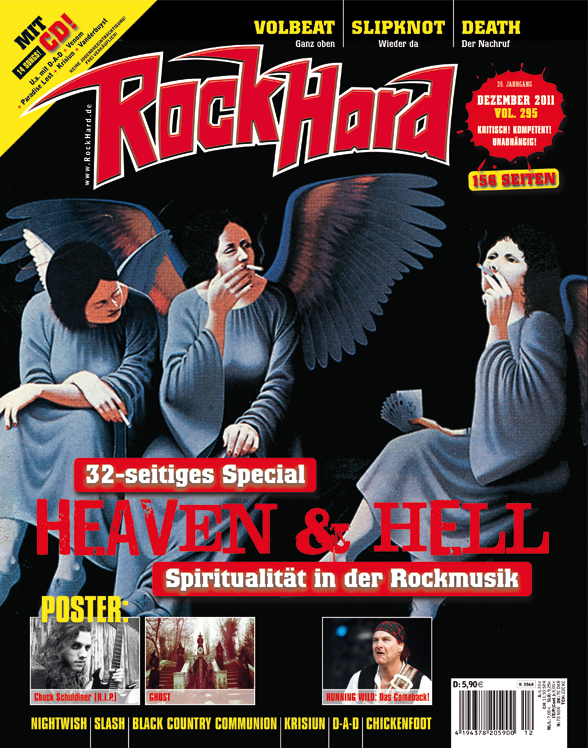 Viele ihrer Riffs und Harmonien klingen vage vertraut, dennoch treffen die allermeisten von ihnen mit technischer Präzision, jeder Menge Drive und hörbarer Spielfreude ins Ziel. Ähnlich der heisere, wütende Gesang von Gerrit Mohr, der sehr verständlich, gut phrasiert und eingängig die zahlreichen starken Refrains dieses Albums krönt. Gelegentliche Überraschungen wie klarer Gesang und ebensolche Gitarren sorgen schließlich für Abwechslung und runden dieses feine Drittwerk hervorragend ab. Due to some logistical problems of the distributor, our new album "Deep Wounds, Bright Scars" is not available all over the place yet. To make sure to get your copy soon, please order it directly at the official MC shop or at EMP. New album out now; another new song online; release show! Our new album 'Deep Wounds, Bright Scars' is available as of today. The media feedback we received so far is overwhelming – it feels great. We can´t wait to hear and read your comments! 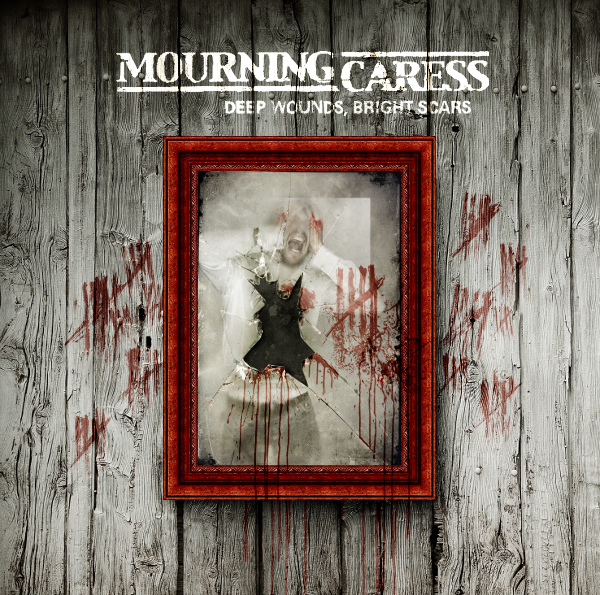 If you like you can order your copy of 'Deep Wounds, Bright Scars' directly at the official MOURNING CARESS webshop. Just click here. We also uploaded another DWBS song, this time it´s 'Never Surrender'. Let us know what you think and please don´t forget the release show / party on December 17th 2011 in our hometown Münster, Germany with special guests Night In Gales and Fleshworks. New song featuring guest vocals by Mikael Stanne now online! We´re happy and honoured to present you another, very special song, from our upcoming new album. 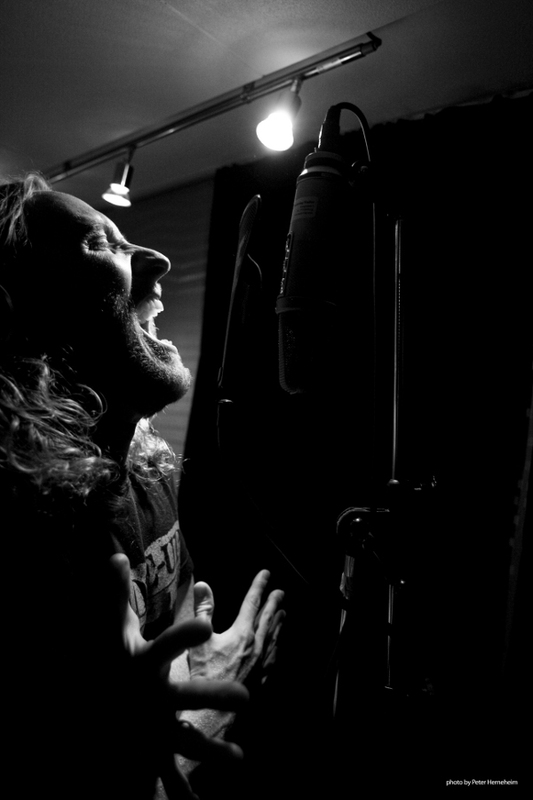 'Wastelands Within' features guest vocals by no less than Mikael Stanne from Dark Tranquillity. MOURNING CARESS definitely wouldn´t exist without a band such as Dark Tranquillity, hence we are damn proud about the collaboration with one of the coolest and most likeable metal musicians around. 'Wastelands Within' is taken from the new album entitled 'Deep Wounds, Bright Scars', due November 4th 2011 via German label MDD Records. Our third album was recorded and mixed at the DocMaKlang studios in Osnabrück, Germany with producer Matthias Lohmöller. Mastering took place at DMS in Marl, Germany by Ulf Horbelt. The stunning cover art was done by Björn Goosses, Killustrations.